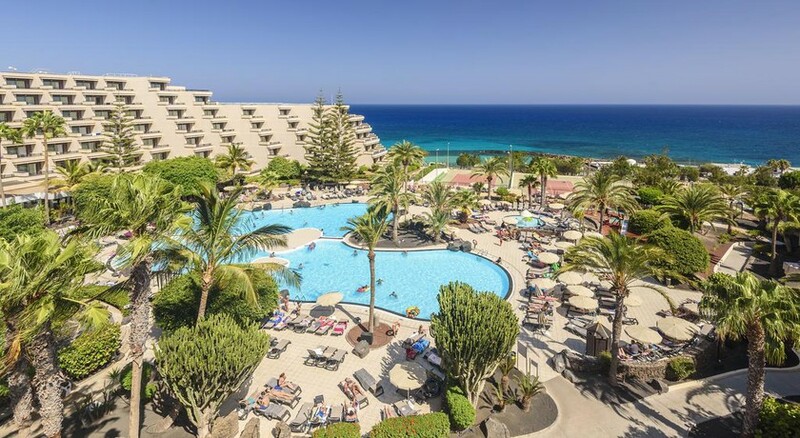 The Occidental Lanzarote Playa hotel invites you to enjoy a holiday you will never forget in one of the best climates in the world, known as the eternal spring of the Canary Islands. 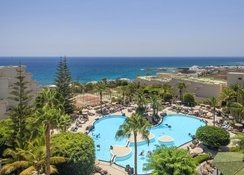 Located in the quiet tourist resort of Costa Teguise, the hotel is set in a magnificent volcanic landscape, which contrasts with the crystal-clear waters of the Atlantic. 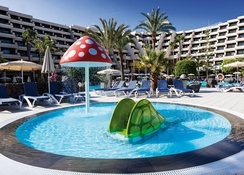 Five swimming pools set in lush subtropical gardens, wonderful sea views, not forgetting restaurants, a children’s playground, multi-use sports pitches, a gym and a Mini Club for the youngest children, all combine to guarantee a funfilled holiday for all ages. Under the hotel’s “All-Inclusive” package, guests can enjoy a full food-and-drinks service without having to worry about anything. Are you travelling with your family, in a couple or alone? On holiday, on business or on a sporting trip? The hotel offers a wide range of rooms to meet all requirements: spacious, light and airy, and designed to offer an exceptional degree of comfort. Enjoy a wide selection of national and international drinks, wines, mixed drinks and tropical cocktails. Spacious terraces with hammocks and sunshades, and 5 pools, including two children’s pools with fun “splash” features, tempt guests to enjoy the sun and have a cooling dip. Mini Club Young children will have a holiday they will never forget, thanks to the facilities and entertainment programme available for children throughout the day. • Tennis courts, paddle tennis, beach volleyball and multi-use sports facilities. Occidental Lanzarote Playa has a meeting room which can be divided with panels, to hold up to 250 people in theatre layout and up to 150 people in classroom layout; it is therefore perfect for training sessions, workshops or presentations. On the sea front, with direct access to El Ancla cove, and 4.5 kmfrom the centre of Costa Teguise. The hotel is just a short drive from the island’s capital Arrecife, and 15 km from its main airport. 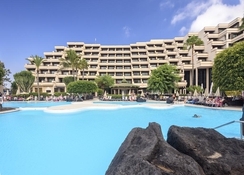 • Located in Costa Teguise, on the east coast of Lanzarote. Great short break, just outside main resort with a gentle coastal walk to get there. Clean, comfortable and friendly staff too. Certainly come back again ! Extremely clean, bedrooms are large with comfy beds. Staff are helpful and restaurant staff can’t do enough for you. Excellent Hotel, pity about the overpowering View of the power station just along the coast and the lack a adjacent beach. Clean, friendly hotel. Swimming pools are good and look amazing at night time. Would definitely go back to relax . Other than that there isnt that much to do other than visit Costa Teguise. Food is nice, but repetitive. I'm probably the world's fussiest eater and all went down well so that's a good thing!. Beer is not too bad! However if you want to have a premium drink you have to pay.. fair enough, however you have to make a line of credit linked to your room. They will not accept cash or card at the bar which is slightly annoying. Lovely staff,clean,good entertainment during day and night,quite location need to catch a bus or taxi to go into town can walk but takes a good hour there and back..
Was informed before flying that main pool was under repair after phoneing occidental I was blatantly lied to that the pool was working fine,on arrival the pool was drained and there was work men sanding the main pool causeing horrendous dust and noise all through our stay as our room was directly over the work.